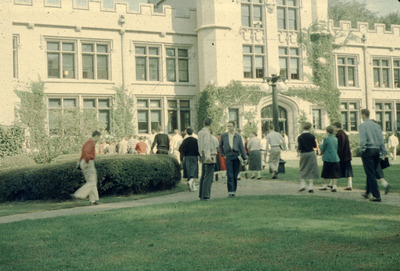 This photograph captures students returning to classes after chapel in October of 1955. The students appear to be returning to class in Kauke Hall. During this time, chapel sessions were mandatory for students.